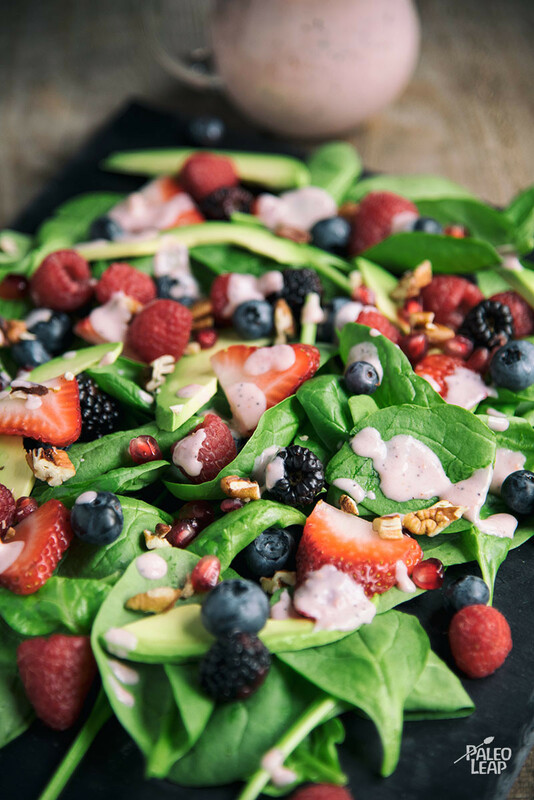 Putting a few blueberries or cranberries on a salad isn’t really new, but this recipe features a whole array of fresh summer berries for a satisfying combination of sweet fruit and fresh greens. 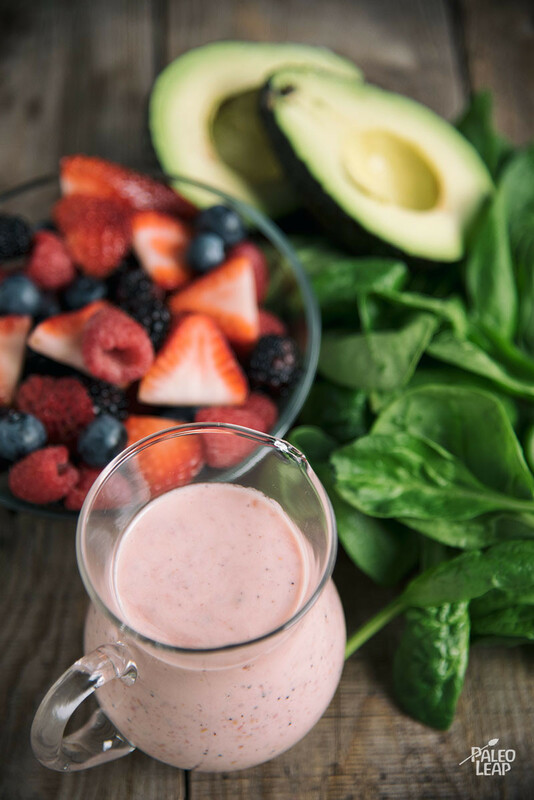 A raspberry-flavored dressing that really brings out the fruit flavors and also adds some healthy fats to help you absorb the vitamins in the spinach. Vitamins A, E, and K in particular need some fat to really let your body use them, and the mayo in the dressing – plus the avocado on top of the salad – delivers exactly that. A sprinkle of roasted walnuts adds some crunch on top of the salad, and also some extra nutrition, especially vitamin E and Omega-3 fats. You can roast walnuts by simply putting them in a hot oven (375-400 degrees) for 5-10 minutes, until they’re just browned. Keep an eye on them because they cook fast! You could add some grilled chicken to this for a complete meal, or try it with hamburgers – the sweet berries actually make a nice contrast to juicy beef hot off the grill. In a food processor, combine all the ingredients for the dressing, and pulse until smooth. In a large salad bowl, combine spinach and berries. Top the salad with avocado slices and sprinkle with chopped walnuts.